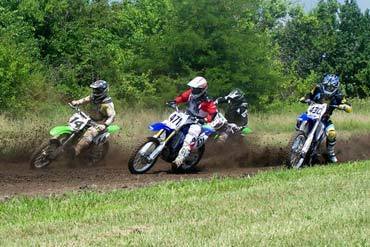 Coolum Motorcross Track is not just a place for the professionals and experienced riders. If you own a motor cross bike, a helmet, and protective gear, you are free to take on the slopes, jumps and other riders. An hour and fifteen minute drive north of the state's capital city, the track can be found five kilometres from the great Coolum Beach of the Sunshine Coast. The Coolum Motor Cross Track is operated by the Sunshine Coast Motorcycle Club and is A grade course that regularly hosts National titles. The Annual National Motor Cross titles are held in August where riders from all across the country take each on to become Australian Champion. 2011 saw the Coolum track being host and huge crowds flocked to the course to witness their favourite motor cross riders battle it out. As an ex-pro rider I enjoy practising on this particular course as I constantly face challenges, from rough surface to up and coming riders polishing their skills. I have raced competitively at the venue and watched the layout shift over the years incorporating various jumps and berms (to an individual not familiar with motor cross terms, a berm is a man-made corner with a mound of dirt like a bank on the outside creating a wall effect). Riders have the opportunity to spin their tyres most weekends with a canteen on site and public toilet facilities. For the dry days causing dust complications, one great aspect of this track has a great sprinkler system to moisten the dirt for perfect traction and a dust free day of riding. Family man? Send off the wife and children to the beach and shops only a short distance away while you tear up the dirt. Where's The Best Venue For a Work Christmas Party in Brisbane? Wow! You were a pro-rider! That sounds awesome! I guess you must take your son there a lot as well! What a lucky little guy to have such a fantastic Dad and Stepmum.